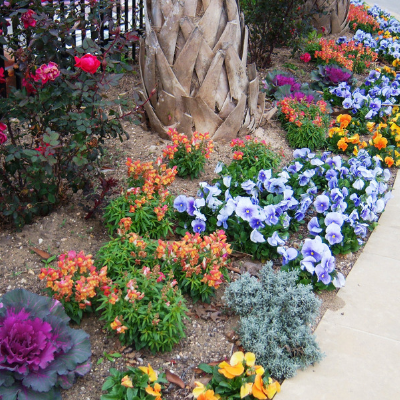 Color harmony in landscaping delivers visual interest and a sense of order and beauty. How one’s yard looks and feels can be greatly impacted by implementing color theory. Shoal Creek Nursery can provide professional guidance on how to strategically use color in flowerbeds, pots, hanging baskets and window boxes that will create masterpieces. Contact Mike Sewell, Shoal Creek Nursery’s owner, at 318 787-1966 to discuss Shoal Creek’s color landscaping consulting service .